Simply put, a “conservation easement” is a voluntary legal agreement between the Land Trust and a landowner that protects and preserves the “conservation values” of a piece of land. Conservation values can include forests, shorelines, wetlands, wildlife habitat, streams, farmland, scenic views and open space. 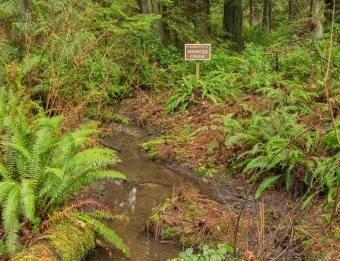 The Land Trust agrees to protect and steward the conservation values on the property forever, and the agreement is recorded with the deed to the property. Even if the property changes hands, the agreement remains in force. The Land Trust currently holds 48 conservation easements (42 private & 6 public). Who qualifies for a Conservation Easement? View our Conservation Project Checklist as a starting guideline. Is there a tax benefit for putting a Conservation Easement on my property? A conservation easement may provide the landowners (and their successors) with a property tax savings. Please contact us for more information. We’d be happy to answer any questions you may have. Please contact us.